Small town girl bakery - Celebration cakes. Here is a small selection of our celebration cakes, to see more visit our facebook page. Cake flavours: Vanilla, Chocolate, Carrot & Orange and Lemon. 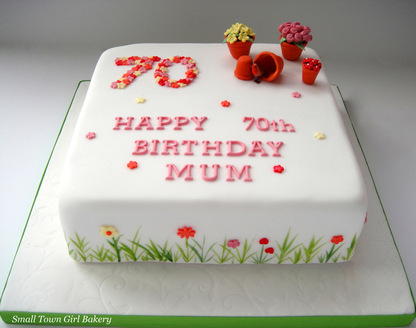 Celebration cakes below start from £30 for a basic 6" round. Chocolate giant cupcake and cupcakes.